With the first day of Nagoya over, it might be fun (for those of us who couldn't be there) to look back at Fukuoka. Jang Keun Suk sang, teased, skipped rope and used a hula hoop, played the comic failing to capture his awards, and delighting everyone with his stories, instagram posts, and company tweets. It was fun...and eels everywhere enjoyed the entire event. I've been traveling a lot this month, and haven't been able to keep up with his zillion activities. Thanks for this beautiful compilation (beautiful song and beautiful man <3)! He always is confident, but he seems to be feeling especially happy with himself - and he looks so dreamy. 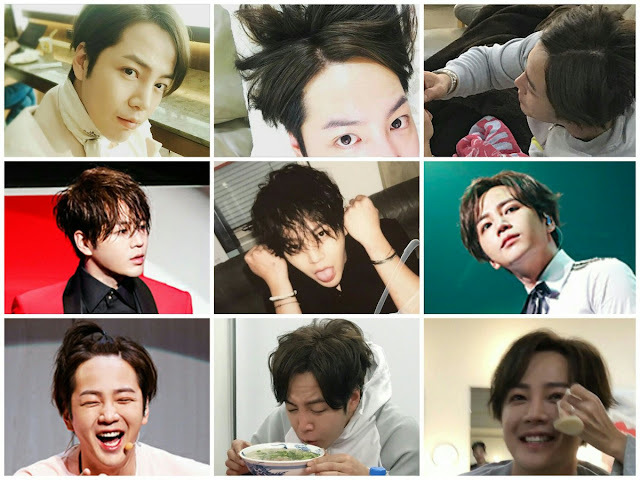 And I'm loving seeing him play with his longer short hair - it's so jks!